Welcome to Academy of Aesthetic Medicines and Surgery (AAMS). Endorsed by Pakistan Association of Plastic Surgeons (PAPS), trusted by Pakistan Association of Dermatologists (PADS) & promoted by IMCAS (France), we are proud to bring AAMS Annual Conference & Hands-on Training. The idea behind AAMS is to create a platform for Plastic Surgeons, Dermatologists & Facio-Plastic Surgeons to learn from the EXPERT CONSULTANTS from around the GLOBE. We organize Lectures and Hands-on training workshops in Pakistan. For you, we collaborate with Plastic Surgeons, Dermatologists and Facio-Plastic Surgeons who are the BEST in their field and arrange Conference for you, in your homeland; Pakistan. • MEGA MASTER CLASS- Applied Anatomy for Fillers /Botox/Threads. • MASTER CLASS for Nerve Block (Face & Hands). • VIDEO CLASSES & LIVE DEMOS for Fat Transfer, Lipo Filling & the art of filling to perfection. • Hair Transplant with Live Surgery & Hands-on Training Session with Dr. John Cole, James Harris and other renowned International Speakers. • Special Session for Hand Rejuvenation. • Latest Trends for Neck Rejuvenation. • Understanding of Danger Zone of Facial Anatomy & how to avoid complications for Fillers/Botox/Threads/PRP. • World's Best Hands-on Training One-to-One Session with Master Trainers & World KOLs. • World's Top Trainers in Aesthetic Medicine Fillers, Botox, PRP and Threads. • Cosmetic Surgery Session with World’s Renowned Plastic Surgeons for Breast/ Nose/ Body Lift/ Face Lift Procedures. • Aesthetic Gynecology (Surgical). Aesthetic Gynecology Session is a unique opportunity to enhance your skills in the field of Aesthetic Gynecology. • Aesthetic Dentistry & Smile Design. Academy of Aesthetic Medicines and Surgery Pakistan collaborates with the Best International Speakers. 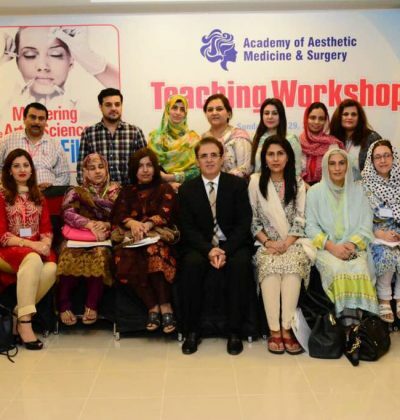 This effort is made for the benefit of our Dermatologists, Plastic Surgeons and Facio-Plastic Surgeons in Pakistan. 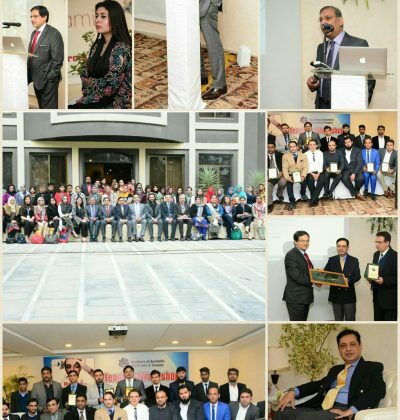 AAMS organizes the Best Conference in Pakistan, bringing KEY SPEAKERS and Trainers to our homeland. Academy of Aesthetic Medicines and Surgery 2018 brings the best International Faculty and World KOL as speakers and trainers. We have thrived to bring cost effective quality training to Pakistan. This year again AAMS is organizing the best aesthetic training for you. Mark the dates 19th, 20th, 21st and 22nd July, 2018!!! Annual Meeting & Hands – on Training Workshops 2017 . 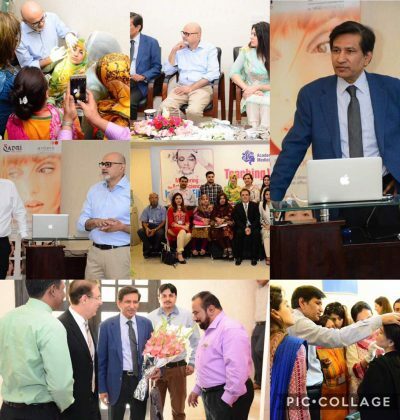 Academy of Aesthetic Medicines and Surgery – Islamabad, August 2017 was a successful event and one of its kind in Pakistan. We had a large number of members who joined us for learning the latest trends of Aesthetic World. Our faculty included the most prestigious names both from Pakistan and International KOLs'. AAMS presents another chance for you to learn from WORLD KOL! Dr. Raj Acquilla is coming to Pakistan from UK on the 17th and 18th November, 2018. Learn the latest aesthetic techniques from him!